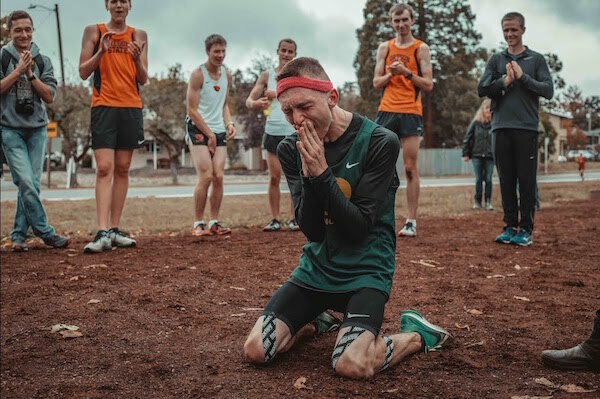 Justin Gallegos, student at the University of Oregon and a member of the school’s running club, has become the first professional athlete with cerebral palsy to be signed by sports giant Nike. Cerebral palsy is a congenital disorder that affects one’s movements, motor skills, and muscle tone. While there are treatments available to support patients with cerebral palsy, there is currently no known cure for the disorder. The brand surprised Gallegos during one of his cross-country races, where Nike’s insight’s director John Douglass appeared at the scene to offer the three-year contract to Gallegos. The moment was captured by creative agency Elevation 0m inside the heartwarming video below, which was released on World Cerebral Palsy Day that fell on 6 October. Nike has been following Gallegos’ journey for some time now. Back in May 2018, the pair joined forces to create the ‘Nike Air Zoom Pegasus 35 FlyEase’. Watch the poignant film below, where Gallegos is brought to tears upon hearing the news.